Customized training programming can play a much bigger role in supporting the health and long-term success of continuing education divisions and universities as a whole. When universities think about the benefits of non-credit programs the first thing that comes to mind is revenue generation. But really that is only a piece of what these programs can offer. Having a corporate training division allows the university to gain insight into the challenges facing employers today, including current skills gaps and future needs. Corporate training also allows for deeper community connection with the university—not only with businesses but with workforce development organizations, nonprofit groups and government agencies. 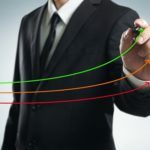 Most organizations are doing more with less and are trying to make sure that their employees have the necessary skills to continue to drive their mission in a fiscally responsible way. HR and training departments are stretched to the breaking point. University programs can help to relieve some of this stress in several ways. First, they can create custom programs that incorporate the organizations’ culture and specific needs. Second, they can vet and curate existing training programs and instructors to save the organizations time and money by contracting through the university for specific training methodologies. There are a lot of training programs available and more are coming to market every day. Vetting programs and instructors is time-consuming and many organizations have only been exposed to a small percentage of these programs. A good university corporate training department is constantly scanning the marketplace for new programs and trainings and can help sort through what would be appropriate for the organization they are working with. 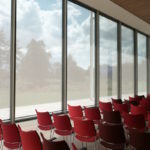 Universities’ corporate training departments can offer materials from the best thought leaders in the world and the corporation can be assured that the instructors are qualified to teach the programs. This service can be offered as part of the custom program package and in the long run will save the organization money and time. Having a solid corporate training department also expands the universities reach into local workforce investment boards (WIB’s). This in turn exposes more potential students to your academic programs through targeted strategic marketing campaigns. One of the most effective ways to use corporate training to drive enrollment in credit-bearing courses is to map the training to degree programs. This can be done by working with the academic unit to establish substitutions, or American Council on Education (ACE) evaluations. 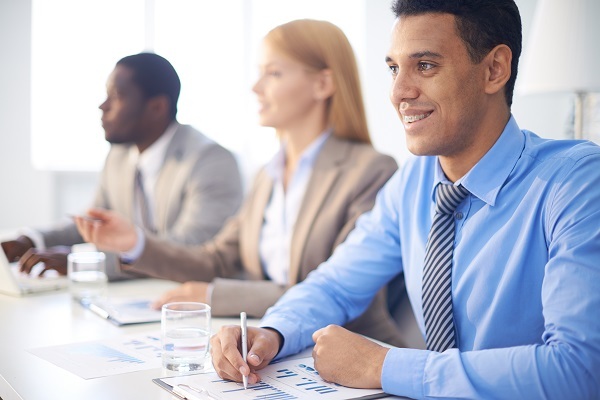 Using corporate training as a pipeline to credit-bearing courses requires some forethought. 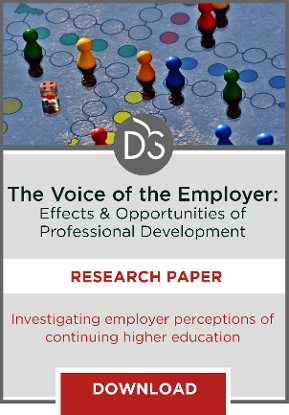 When developing corporate training look at the degree program correlation. For example, if you are training supervisors on conflict management they may want to know that you have a degree in organizational leadership. Corporate training can also be used as content marketing to provide an introduction or taste of programming that could be applicable to degree programs. Of course, it’s challenging to make sure you’re balancing the academic rigor and required hours with the need for cost-effective and time-restricted training. Most companies cannot afford to take large numbers of employees out of their day-to-day roles for more than a few hours at a time. 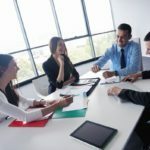 In order for any corporate training division to be successful over the long term, it needs to be providing content that meets the immediate needs of the company. What can corporate training leaders do to maximize these matriculations? Of course, over the long term it’s possible to maximize matriculations from corporate training programs through assessments of competencies (rather than seat time). This requires a step back to look at what skills need to be mastered and how that mastery maps to the appropriate degree program. In the here and now, most universities work on seat time and learning outcomes which may not always provide an apparent correlation to a degree for the students. Connecting the dots for students and understanding the market value of the degree can provide the incentive for a corporate program participant to matriculate to a degree program. We have shifted to a lifelong learning culture and are moving away from the traditional degree pathway that was so clearly defined and used over the last 50 years. Students move easily from formal to informal learning and employers recognize that there is no one right way to gain skills and knowledge. This is the era of personalized learning. Less emphasis is being placed on degrees and more emphasis is placed on the employee’s ability to pivot, adjust and quickly learn new skills. Using the corporate training programs as a taste of your institutions’ degree programs, understanding the importance to the corporation you are working with regards to formal degrees vs. lifelong and workplace learning, and focusing on delivering programming based on need will be the key to success for the institutions of the 21st-century. Forward thinking leaders from both continuing education and traditional academic units understand that it is in their own best interest to blur these lines and break down the walls in order to respond to students’ needs of nimbly moving between both based on what a student is trying to accomplish.